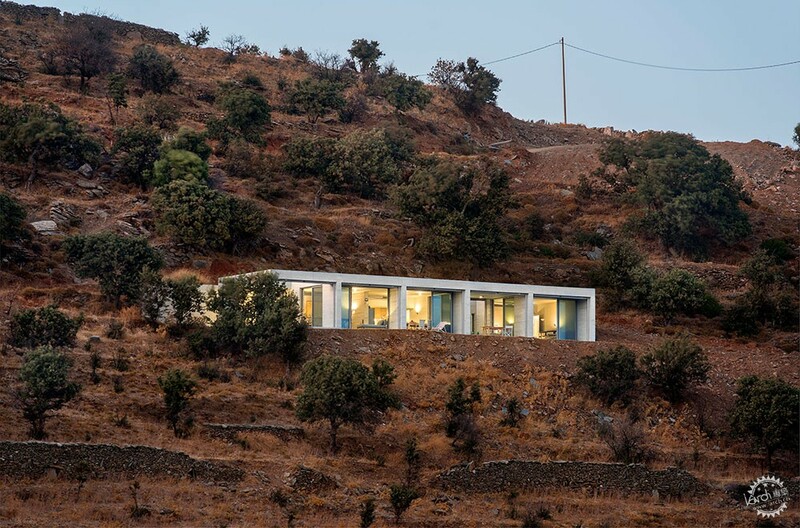 The rear of this holiday home on the Greek island of Kea is partially embedded in a steep hillside, while the front is entirely lined with full-height windows that look out towards the Aegean Sea. 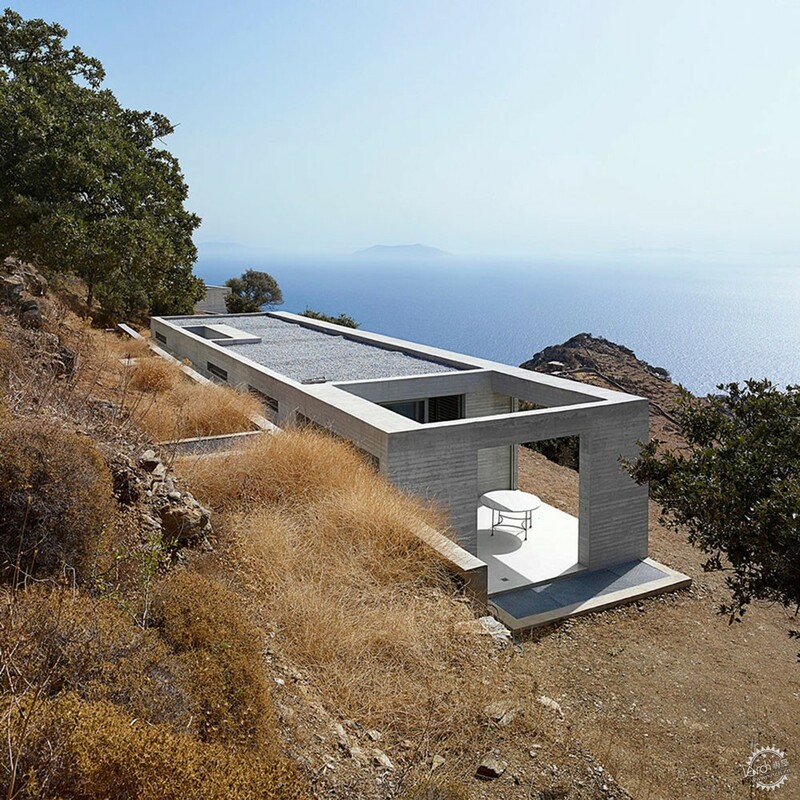 Athens-based studio En Route Architects designed the Parallel House for a secluded site surrounded by nature on the Cycladic island. 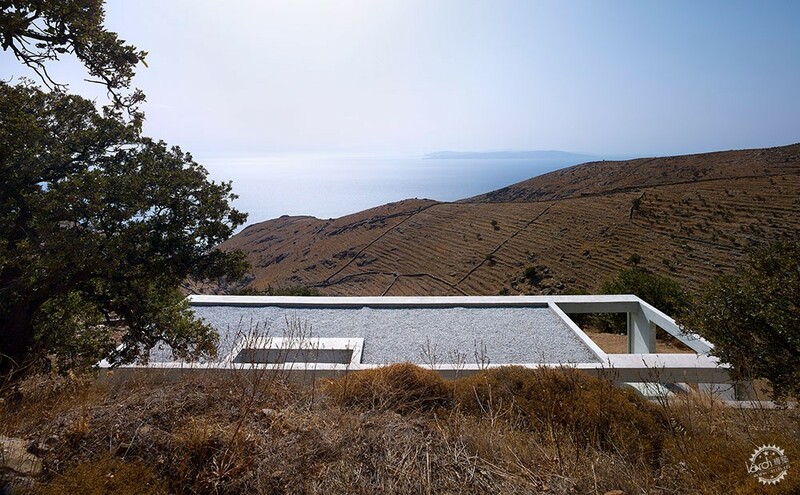 The plot's sloping topography informed the design of a building that is submerged in the earth on one side and is oriented parallel to the sea to make the most of the views. 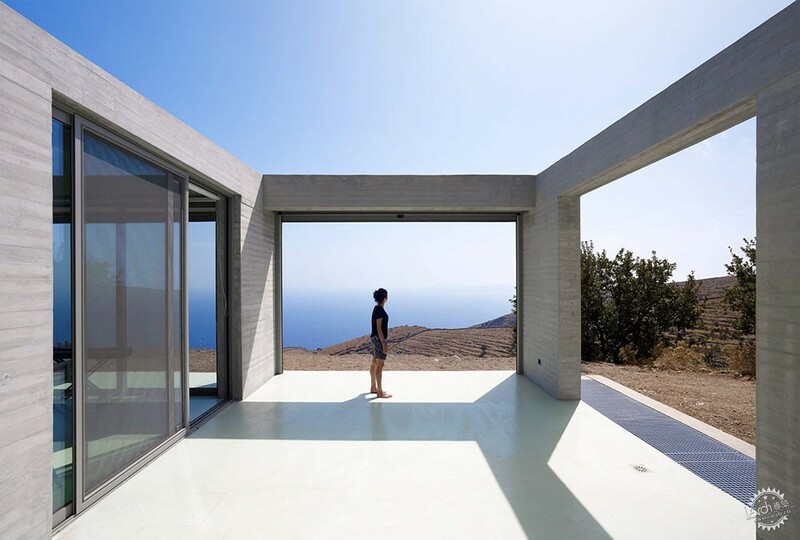 The building comprises a sequence of indoor and outdoor spaces that are arranged linearly so they all look out on one side towards the landscape and the sea. 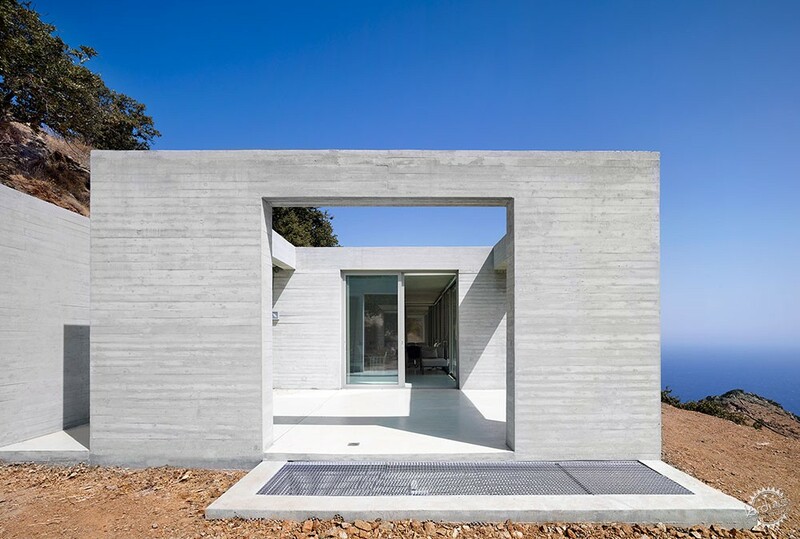 The robust, monolithic form is constructed from exposed concrete and was designed as a modern interpretation of a traditional stone dwelling. 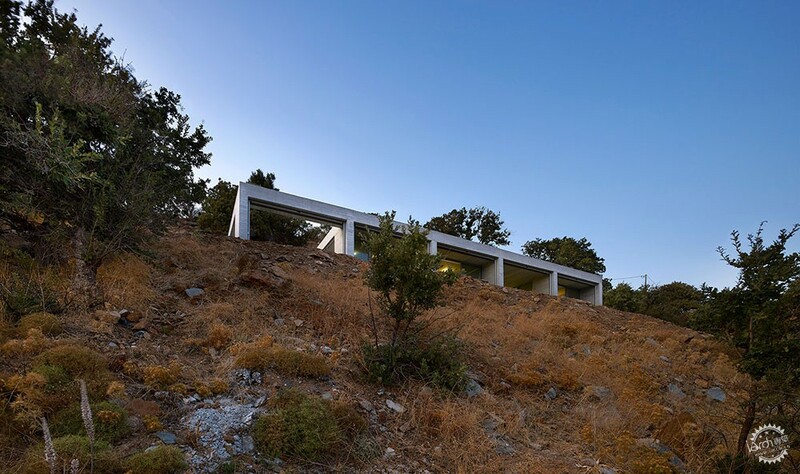 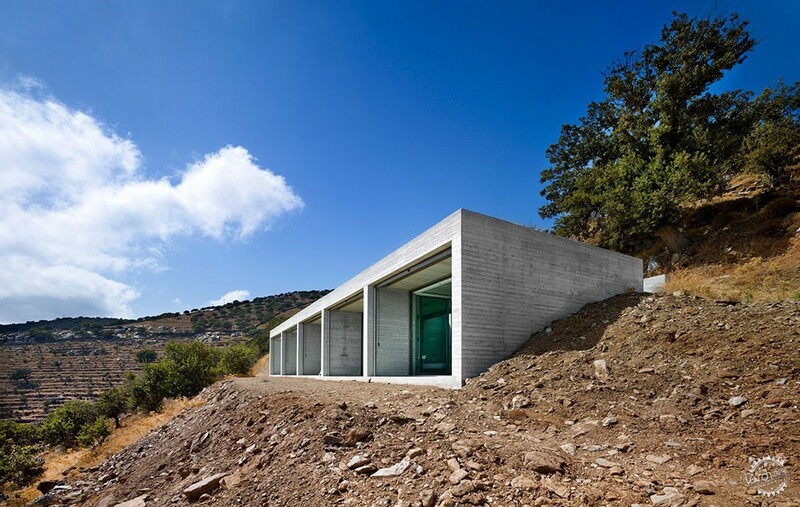 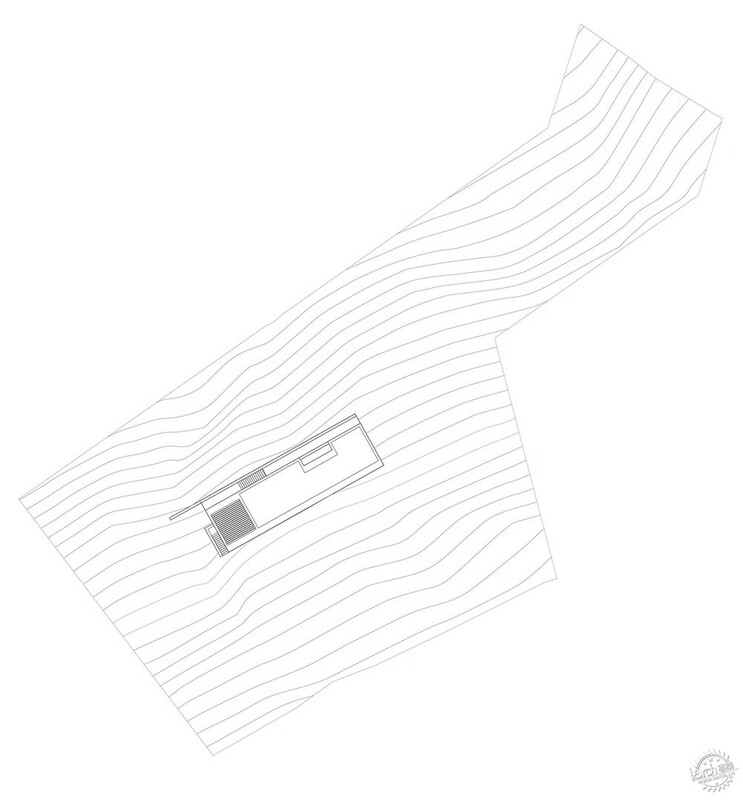 "The Parallel House was built as a strong yet minimal contrast to its surrounding landscape," explained the studio led by architects Katerina Kourkoula and Hannes Livers Gutberlet. 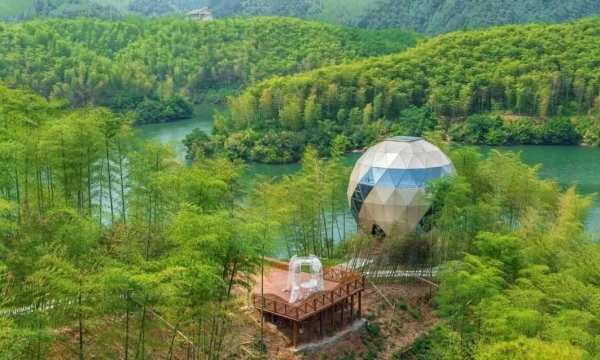 "Through this contrast and the embedding of hidden principles, the focus is laid upon the maximum experience of the landscape itself." 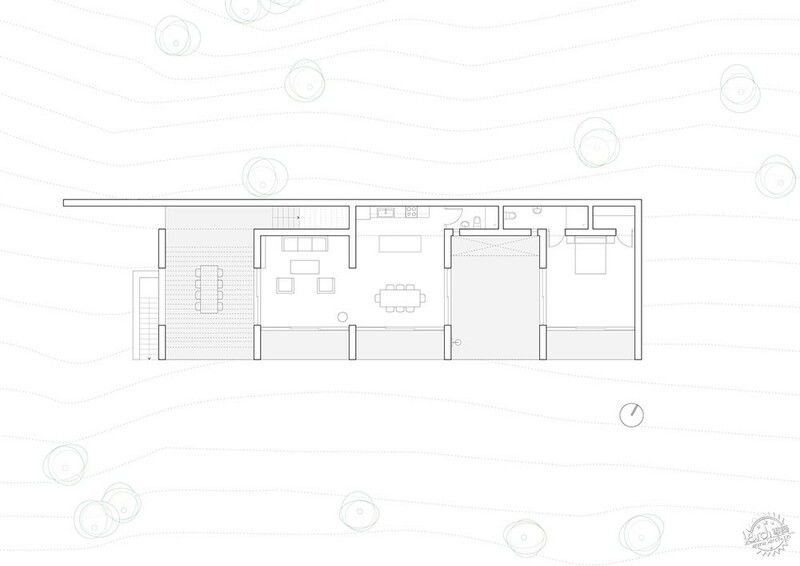 A patio at one end of the house is flanked by sliding doors leading inside. 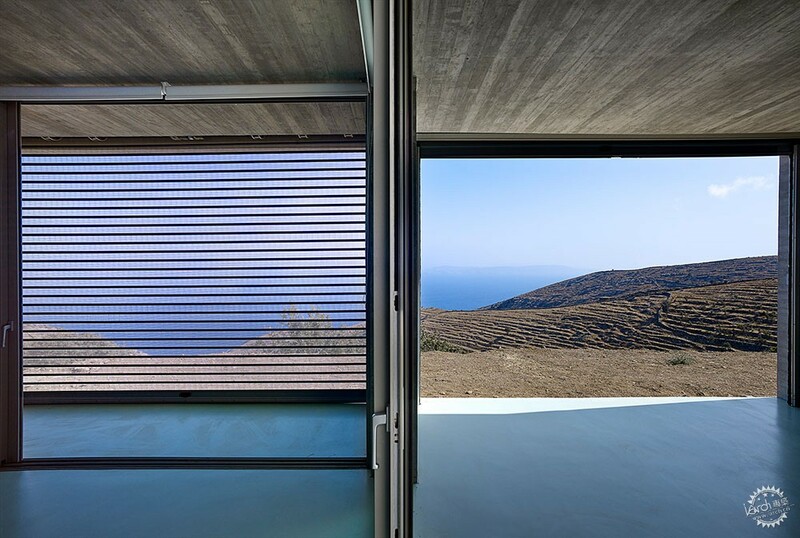 From here, there is an uninterrupted view along the front edge of the building. 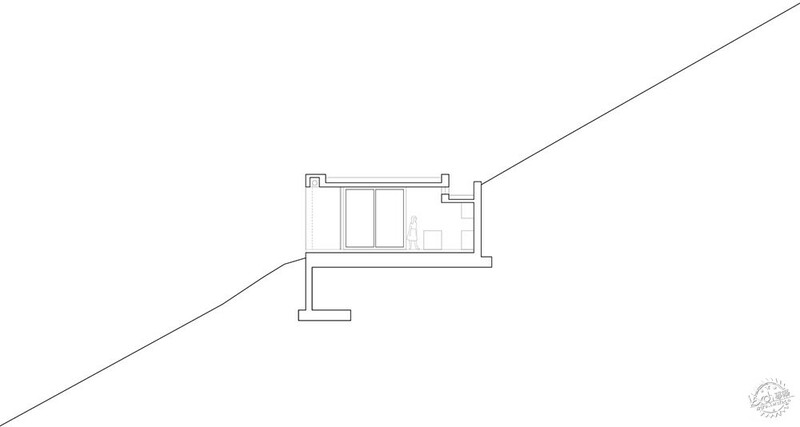 All of the property's service functions are accommodated along the rear elevation to enable unobstructed movement and views between the rooms and the outdoor areas. 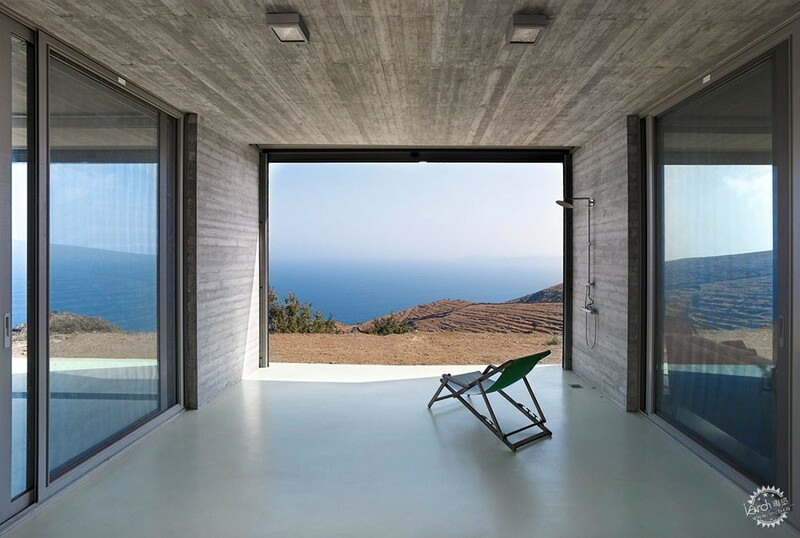 In between the dining space and a bedroom at the far end of the building is a covered terrace with a built-in shower that is open to the landscape on one side. 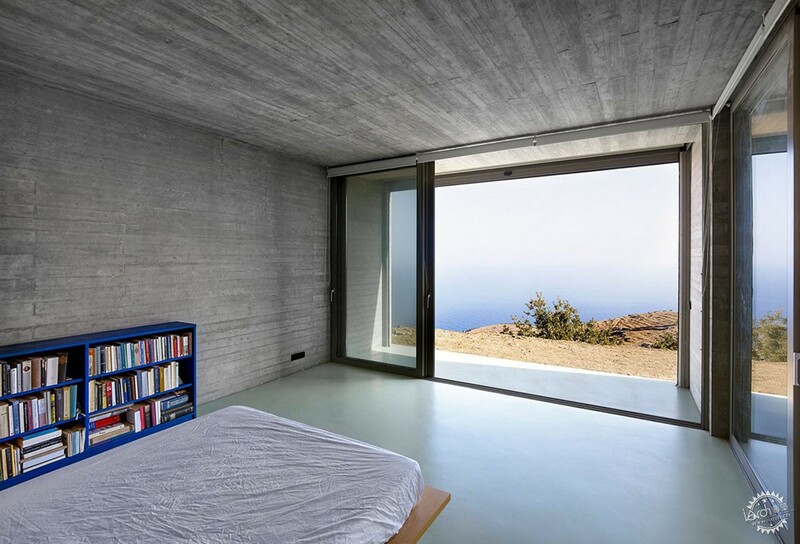 The bedroom and living spaces are all lined with full-height sliding doors that can be retracted to connect these rooms with shaded verandahs. 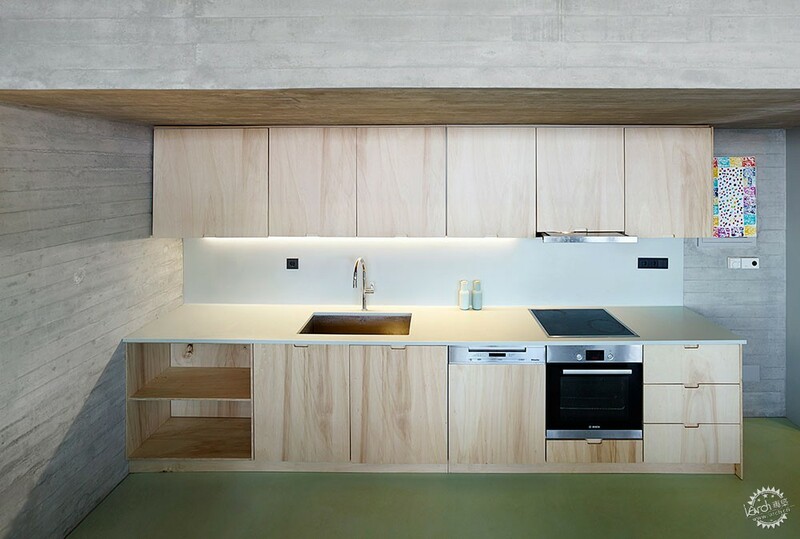 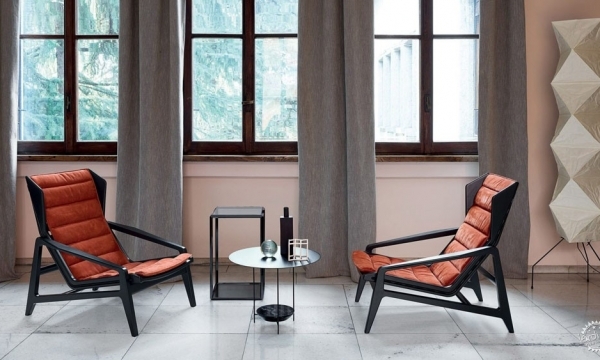 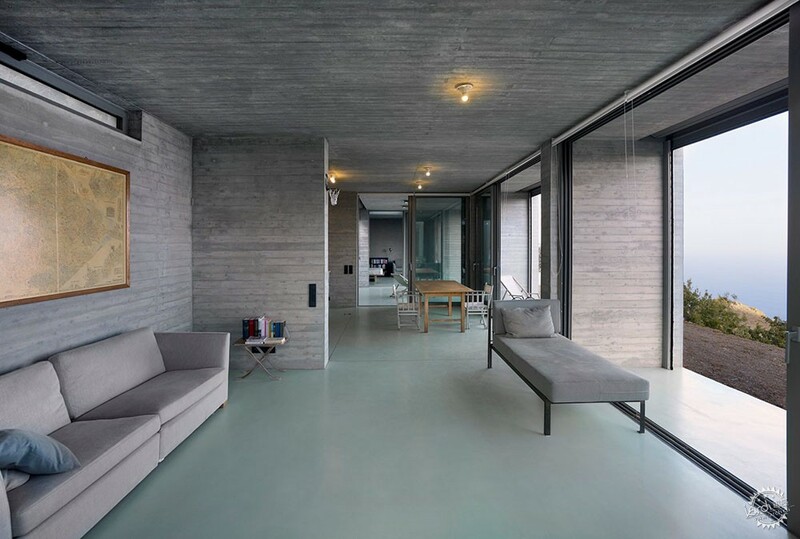 Walls and ceilings throughout the house are formed from the same exposed concrete as the exterior, resulting in a pared-back expression that enhances the connection between internal and external spaces. 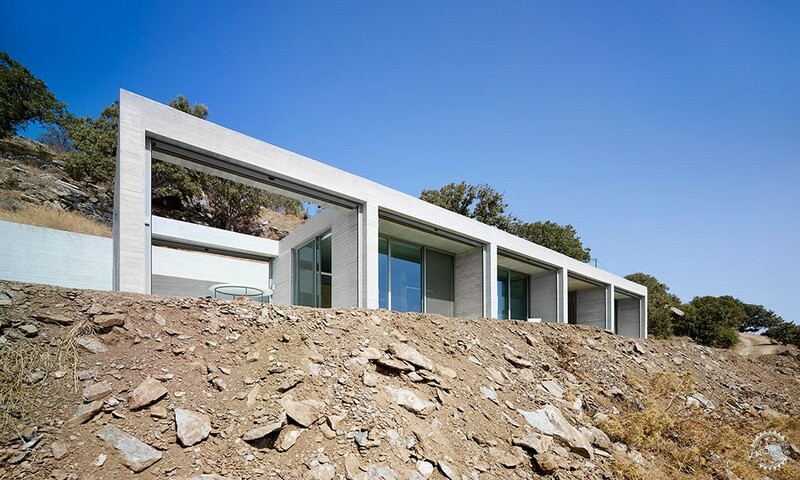 The architects employed traditional methods to passively heat and cool the building, such as a recessed corridor at the rear of the house that channels breezes through the interior. 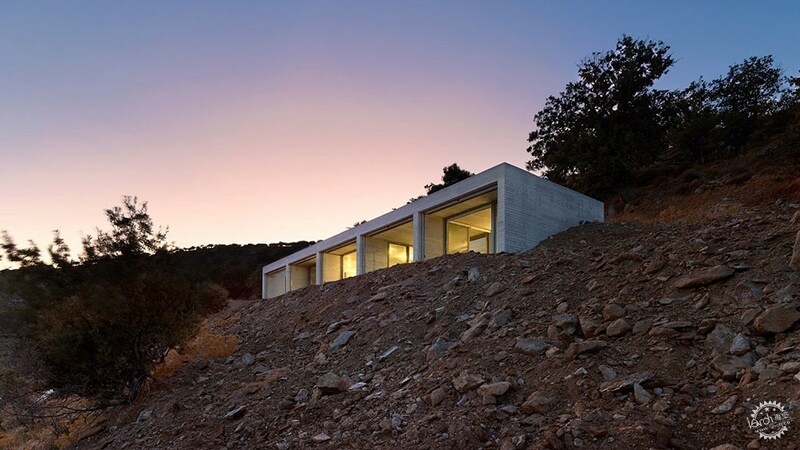 Rainwater falling on the roof is collected, stored and used within the building, while solar panels concealed in the landscape provide enough energy for the house to operate entirely off-grid.